SurveySpot is an online paid research company, that rewards panel members for participating in a wide variety of interesting surveys. These surveys and polls are conducted to gain insight opinions to help companies’ make improvements on offered products and services. Your assistance is very valuable, and therefore your participation will not go unrewarded. Cash paid (via Paypal) for taking certain online surveys. The Minimum Payout: $10 which is equivalent to 1000 points. Age Requirement: In order to register and participate with SurveySpot.com, you must be over the age of 18. Top 5 Side Earners for Making an Extra $500 Monthly! UserTesting needs Website Testers. Get paid $10 for every website you review. Sign Up Today! Swagbucks has paid out over $150 million to members worldwide. Watch videos, take surveys, and more! VIPKid needs Online Teachers. Workers earn $18-$22 Per hour, flexible schedule. Apply now! Ipsos I-Say is one of the most trusted survey panels that pay you for sharing your opinion. Join Ipsos Now. Open to Countries: At this time, Survey Spot is only open to residents in the United States. For residents from Canada and United Kingdom. Check out Opinion World, also created by Survey Sampling International (SSI). Surveyspot is a one of my top paid online survey sites. They typically send a a variety of surveys, mostly sweepstake surveys, that give you a chance to play instant win games. Don't worry, they are still like the cash surveys. Surveyspot also has higher paying surveys and online focus groups you can participate in. SurveySpot has an easy-to-navigate website, where members can check surveys available, payment history, and also request payments, etc. I have been paid a few times with no problem. Surveyspot is very good at paying members in a timely manner. Be patient with Surveyspot at the beginning. At first you will receive a lot of sweepstakes surveys, which weren't many I qualified for. Cash surveys will come if you are willing to stick around them and you will qualify for more surveys. Log into your account frequently to check and check available surveys, you may receive good paying surveys and focus groups. 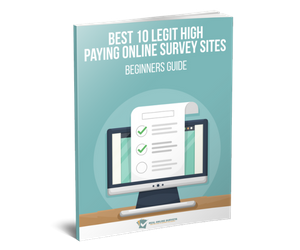 Overall, SurveySpot is a legitimate paid survey site, and I highly recommend them! Previous PostCan You Really Make Money Taking Online Surveys? 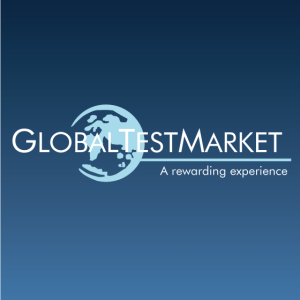 Global Test Market Review: Legit or a Scam? Earning Station Review: Legit Survey Site or Not?